Upload weather data to Weather Underground or Weathercloud.net. 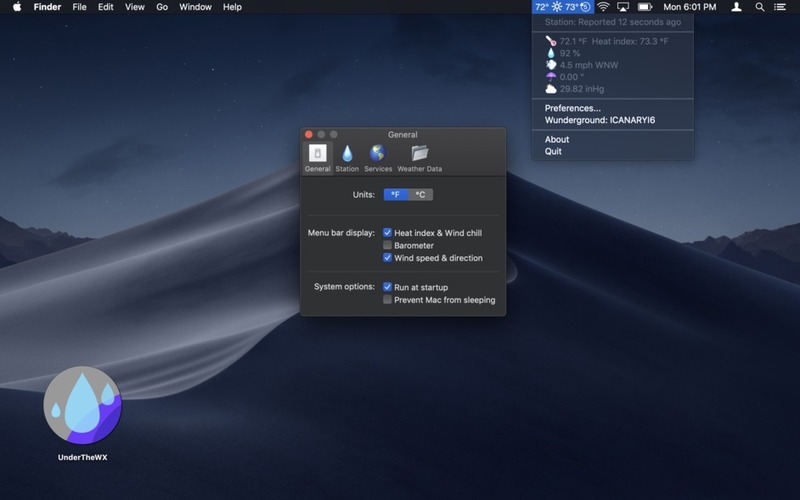 Is there a better alternative to UnderTheWX? Is UnderTheWX really the best app in Weather category? 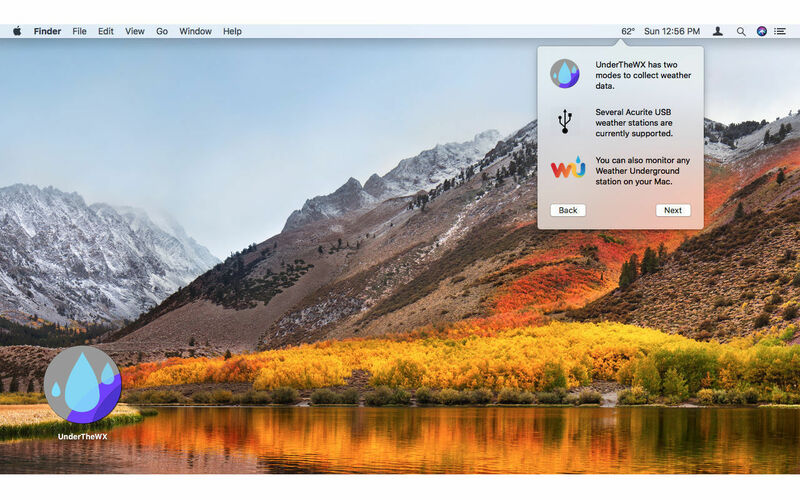 Will UnderTheWX work good on macOS 10.13.4? 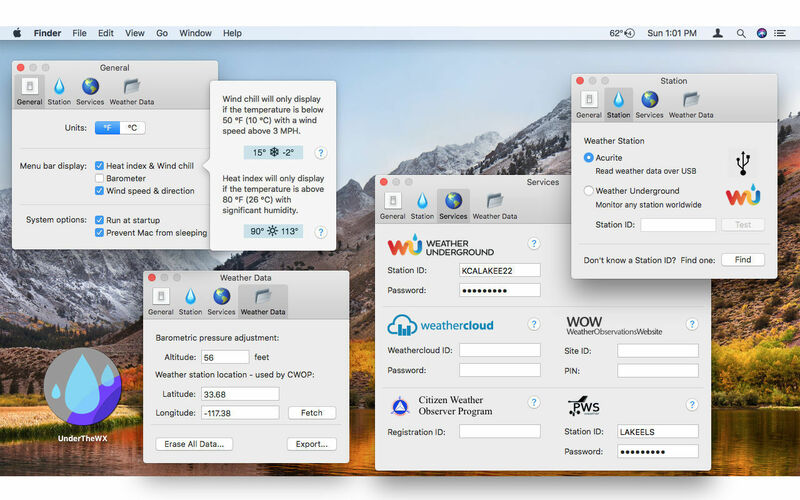 UnderTheWX reads weather data off the popular AcuRite USB Professional Weather Centers and uploads it to Weather Underground or Weathercloud.net. The app is a menu-bar app which displays temperature, humidity, wind speed and direction, rain for the day, and barometric pressure. UnderTheWX supports the AcuRite 01036, 02032, 02064, and 06037M USB Personal Weather Stations. Uploading data to Weather Underground is also supported using the latest "Rapid Fire" update feature of Weather Underground. 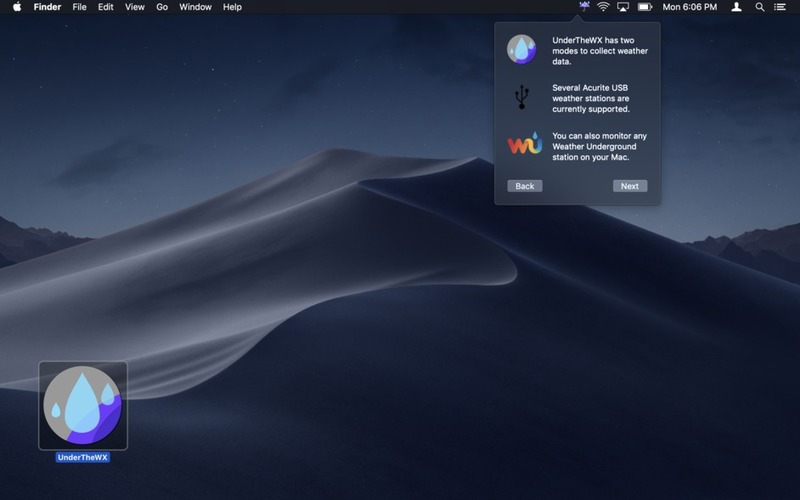 UnderTheWX needs a review. Be the first to review this app and get the discussion started! UnderTheWX needs a rating. Be the first to rate this app and get the discussion started!